Put all your efforts to convey your boss that he/she is the world's best boss. Appreciate your boss by sending a perfect online boss day gift. Winni have an exclusive range of boss day gifts that have the power to convey your appreciation to your boss on the boss day. 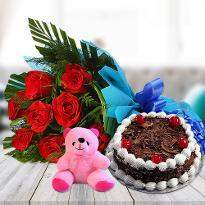 Winni provides hassle-free boss day gift delivery so that you can send boss day gifts easily. Now, it's easy to have a cordial relation with your boss. Boss day is the perfect day to impress your boss. So, send some of the coolest gifts from Winni. Express your love and respect for your boss by presenting a gorgeous boss day gift from our online gift store. Boss day is commemorated every year on 16th October. Patricia Bays created the day in the year 1958. She worked for an Insurance Company and her boss was her father. She noticed the obstacles which her father had to face in running the company and how he was able to manage the source of motivation and encouragement for his employees. In 1958, Patricia Bays registered the holiday with U.S. Chamber of Commerce on 16th October to show her gratitude for his role as boss. Boss day is the perfect day for employees to show their gratitude and appreciation to their bosses. Sending a boss day gift to your boss to convey your appreciation for what he/she has done all over the year. If your boss is the one who makes the workday tolerable, surprise him/her with a fantastic boss day gift. Choosing a perfect gift for a boss can be challenging, but it doesn't have to be. It's vital to know the likes and dislikes of your boss before selecting a gift for your boss. You can choose something natural which will refresh the soul of your boss. Fresh flowers for your boss can be a great gift if you are willing to gift something elegant and natural. Gifts have always taken a great place in the heart of everyone. They are the token of warm regards, wishes, happiness, love and blessings. Select a fantastic gift for your boss to convey your wishes. Nowadays, sending boss day gifts to the boss is convenient. 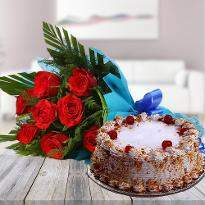 Online gift portals are the ideal way to send your warm wishes to your boss at midnight. 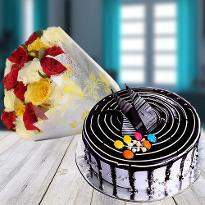 If you are willing to send boss day gifts at midnight to your the doorstep of your boss, then approach Winni. 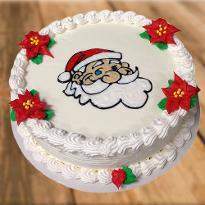 Winni is a trustworthy online gift portal who deals in a wide collection of online boss day gifts. You can browse the huge collection of online boss day gifts and choose the desired one for your boss. Order and send for midnight delivery. A boss day gift from you will surely please your boss. The hustle and bustle life of your boss needs to be refresh with an exciting boss day gift. You can refresh the mood of your boss by presenting him/her a wonderful gift. 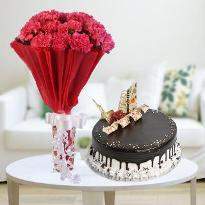 You can gift a gorgeous coupling of fresh flowers, delicious cake and chocolates. Gifts are the ideal way to show respect and appreciation to bosses. Bosses are the one who has lots of responsibilities on their shoulders. They have to take care of the business as well as employees also. They are the motivators who always encourage their employees to perform better. They are the one who appreciates employees for their brilliant work. It's good to honor your boss on Boss day with a gift that can refresh the soul of your boss. You can shop for a variety of online boss day gifts from Winni. 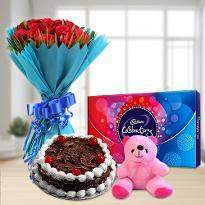 We at Winni knows your emotions very well and that's why we have come up with unique gift ideas that you can present to your boss on the boss day. Surprise your boss with our fantastic boss day gifts. Floral gifts have their unique significance. They have the magical power to bring a million dollar smile on the face of the receiver. 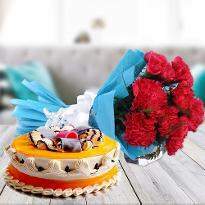 You can become the reason of your boss happiness by sending a floral gift from Winni. 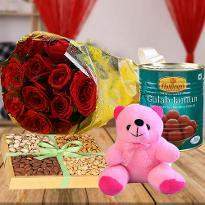 Shop for flower bouquets, flower bunches, baskets and special floral arrangements like alphabet-shape flower arrangements. Floral gifts are the symbolism of happiness, smile, optimism and gratefulness. They are the short way to surprise someone. 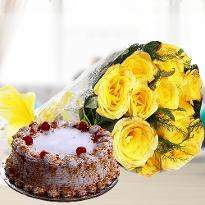 On boss day, you can send floral gifts to your boss to express your gratefulness and respect towards him/her. 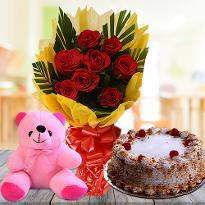 Winni deals in huge collection of floral gifts especially created for your boss. We have roses, carnations, gerberas, orchids, lilies and gladiolus. 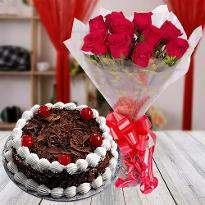 You can conveniently shop for any flower which you want to gift to your boss. Cakes are considered to be the best boss day gift. Being its availability in different flavors, designs as well as size, you can infuse lots of sweetness in the life of your boss by sending it online on the boss day. Photo cake would be an ideal boss day gift for your boss. 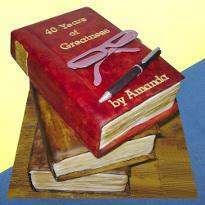 Get the best picture of your boss printed over the cake from Winni. Your boss will be stunned when he will receive such a gorgeous gift from you. The pairing of different products result in wonderful combo gifts. Winni offers you a huge collection of combo gifts for your boss so that you can easily express your gratitude. Cake, flowers, chocolates, teddies and other sweet treats are paired fantastically. Explore our massive assortment of combo gifts and choose for your boss now! 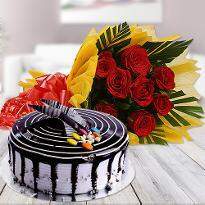 It's not easy to buy boss day gift which has the capability to impress your boss on Boss day. However, Winni have amazing boss day gifts for your boss and these boss day gifts have the power to win the heart of your boss. Bosses are always right as they know about how to work correctly. They even know everything about every employee. For such bosses, Winni has amazing online boss day gifts. You can buy boss day gifts online from Winni and get it delivered to the desired place and time too. The unique charm attached with gifts are hard to describe in words. They are the eye and heart stealers. 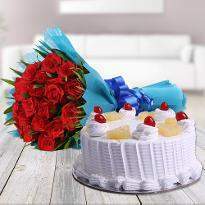 Occasions need to be commemorated with great spirits and when it comes to boss day, then you can't deny yourself to buy online boss day gift for your boss. Winni provides a user-friendly interface to buy and send boss day gifts right to the doorstep of your boss. So, get the convenient boss day gift delivery from Winni and surprise your boss on boss day. Apart from an authority figure, advisor, sympathetic ear, your boss is always your mentor. Human beings have different natures and it's good to present gift according to their nature. 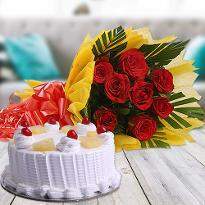 Winni do provide online boss day gift delivery according to the nature of your boss. Gifts for friendly Boss: If your boss is just like your friend then you can gift him a wonderful gift that depicts friendliness and what can be the best token of friendship than a bouquet of yellow flowers, pineapple cake and chocolates? It will be the best token of gratitude. So, you can give this gift to your friendly boss on boss day. Honor your fun-loving, spontaneous and smiling boss by presenting online boss day gift. Gifts for Strict Boss: If your boss is a strict disciplinarian then you can gift him/her something that has the ability to convey calmness and deliver a cute smile on his/her face. White flowers are the symbolism of purity, calmness and respect. 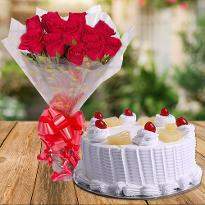 So, you can gift white flowers along with a delicious vanilla cake. This gift will sure to offer peace and sweetness in the life of your strict boss. Gift for Crazy Boss: If your boss is crazy for his/her work and he aims to raise the company above the sky then gift him something extravagant to tell that you will also contribute in his passion. 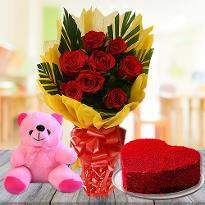 Red flowers, Ferrero Rocher, teddies, sweets and red velvet will be the apt gift for your crazy boss on the occasion of Boss day. Gifts for Unpredictable Boss: As the name itself says 'unpredictable.' The action of unpredictable bosses is hard to conclude. They may be happy with your work for today, the same may not be applicable for the next day. That means you will always have to crack into the sweat whenever you are reporting to them. For such kind of bosses, Winni also has gifts which the unpredictable bosses can't predict. 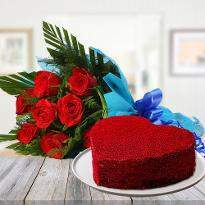 If you have such kind of bosses then gift them double-heart shape bouquet along with heart-shape cake and sweets. Your unpredictable boss will be spellbound on the first look of the gift. Gifts for Screamer Boss: They are the one who raises their voice level as much as they can. For such kind of bosses, Winni provides gifts that have the power to scream happiness. 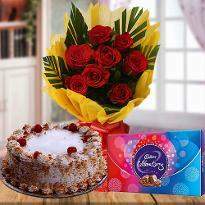 Gift your screamer boss on the boss day, a bouquet of Ferrero Rocher, a bouquet of flowers and chocolates and a bottle of cold drink. This is another way of conveying your care to your boss. Winni completely understands the emotions of the bosses as well as employees. So, this is the reason we are providing a compressive range of boss day gifts so that you can express your gratitude to your boss. Buy the best boss day gift and convey your boss then he/she is the world's best Boss!